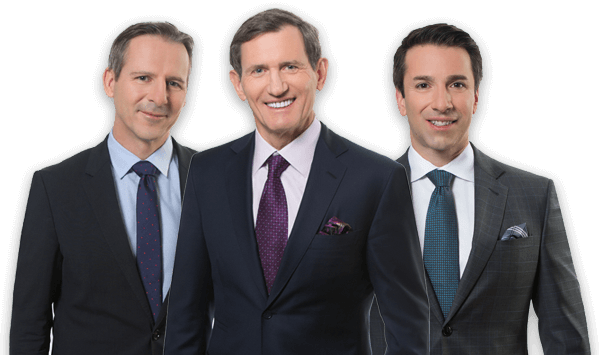 Every year since its inception, McLeish Orlando has been named to the National Post’s listing of the Best Lawyers in Canada. The list is based on a survey of over 100,000 Canadian lawyers. Lexpert, the Canadian legal experts directory, gives McLeish Orlando's principal partners its highest-ranking of "Most Frequently Recommended" by Other Lawyers. Since 2011, Canadian Lawyer Magazine has named McLeish Orlando one of the Top 10 Personal Injury Law Firms in Canada. Our firm was selected based on a survey of leaders in the legal profession. Winners were credited with superior client service, expertise and the ability to rise above their counterparts. Five of the partners of McLeish Orlando, Personal Injury Lawyers, are recognized in "Best Lawyers", a 25-year-old directory of peer-recognized lawyers. Visit our Credentials Matter page to find out more. You or someone you love has been seriously hurt. You don’t know what to do or how you’ll be able to carry on. How will you support your family? Will insurance cover the cost of rehabilitation and medical care? How do you choose the best rehab professional available? In this stressful, difficult time, McLeish Orlando’s skilled legal team can deal with the complicated legal process so you can focus on recovering. Let us be the strong voice that speaks on your behalf, advocating for the compensation and care you need to secure your future. Most of our referrals come from other lawyers. They know we have the expertise and reputation to take care of their clients. We even get referrals from insurance defense lawyers who have opposed us on other personal injury cases – they’ve seen firsthand what our team can do, and recommend us because they know nobody does a better job of getting a fair settlement. Our team at McLeish Orlando will ensure the best possible result for your case, and shelter you and your family from the stress of dealing with insurance companies. All of whom stay in constant contact with you, offering updates answering questions and dealing with any issues as they arise. Using an extensive network of case managers and rehabilitation professionals throughout the province, we assemble the best rehabilitation team for your case. A professional case manager coordinates the strong team of rehabilitation professionals you’ll need to help you return to a normal life. We recognize that the people who retain our services have suffered a serious personal injury and are already facing many challenges. Choosing the right personal injury lawyer is hard enough. We do not wish to add to that burden so we do not ask our clients to provide an “upfront” retainer to offset fees and disbursements. 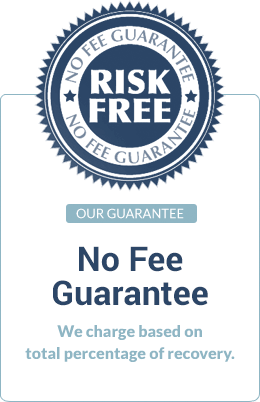 This is our no fee guarantee. The fees we charge are based upon a percentage of total recovery. The amount of the percentage charged will vary depending on several factors, including the complexity of the case and the risks assumed by our law firm. In every case, our retainer is based upon a mutually satisfactory financial arrangement that is fully explained in writing with a case example provided. There are no surprises at the conclusion of the case. Aspi Kootar is a loving husband and father of two. On March 8, 1995, Aspi suffered a serious head injury in a motor vehicle accident that changed his life forever. In this video, Aspi shares his story of recovery and explains how McLeish Orlando helped him and his family rebuild their lives after a personal injury. In his own words “McLeish Orlando really gave me an independent lifestyle”. Before Dan’s accident, he was an athlete, a top student and a musician in school. Listen to Dan as he tells us how the McLeish Orlando team helped him regain his life and independence after his accident. On behalf of The Advocates’ Society and program chairs, Patrick J. Brown, Susan Gunter, Peter W. Kryworuk and D. Lynn Turnbull, thank you for speaking at the 2018 Tricks of the Trade conference. Thank you once again for helping to make the program a success. We are grateful for your support of our education initiatives. It has been a pleasure working with you and I look forward to working with you again. On behalf of The Advocates’ Society and program chairs, Ellen Gowland, Linda Matthews and Stephen Ross, thank you for speaking at our education program License Appeal Tribunal (LAT) Advocacy. Thank you once again for helping to make this program a success. We are grateful for your support of our education initiatives. I look forward to working with you again in the near future. After my son suffered a severe brain injury, I hired John McLeish. At the outset John hired the best rehabilitation people to insure my son would reach his full potential. John and his team achieved a much higher settlement for my son than my husband and I ever expected. Today my son can live independently in his community with his financial future secure. My experience working with John McLeish, far exceeded my expectations. McLeish Orlando’s knowledge, skill and attention to detail made the process of my lawsuit far much less traumatic than I expected. The injury I suffered was life-changing. During a very vulnerable and stressful time in my life, John’s team of incredibly dedicated staff connected me with the best doctors and healthcare professionals. The encouragement, the explanation of what was going on at all times, and the continuous communication was very comforting to me. The final settlement was significantly more than I expected. It gave me a fresh start and allowed me to live my life. When we hired a lawyer, we did not know what to expect. John and his team kept us totally informed and involved us in all important decisions. My girls continue to receive rehabilitation help from the best health professionals. One of my girls is now in university and other is entering college. My husband and I are very grateful to John and his team. Words cannot sufficiently express our gratitude for your guidance, support, caring, and hard work….we could go on and on……! You put together an amazing team, and met all of M’s challenges with such dedication that we always felt secure in knowing that, no matter what, you and your team would find the best possible solutions.You are amazing individuals. Apart from the obvious professionalism of your respective companies, your genuine caring, and openness to listening to clients, sets you apart. We would like you to know that you all gave M all the tools he needed to maximize his recovery. He is sure to spend his lifetime…giving back..equally! Please forward this email to all support staff that worked with M as we truly appreciate the utmost attention, kindness, knowledge, and support he received at every stage of his recovery. We honestly could not imagine having gone through the process without you! You all have our family’s deepest gratitude for life! Best wishes to all for continued success in your respective careers…you are all truly exceptional, as professionals and as human beings! This message is long overdue, however, on behalf of our entire family, we wish to express our utmost gratitude and appreciation toward you and your staff at McLeish Orlando. The dedication, professionalism and consideration exhumed towards J’s healthcare needs has lifted everyone’s spirits as a feeling of positive direction has been initiated. We truly feel blessed to have had your firm represent J’s care and offer a sense of calm when we urgently needed it many times! In closing, we wish all of you good health and continued success in a much needed service provided by McLeish Orlando. We want to thank you and your staff for your support over the past 3 ½ years. At the outset, we didn’t realize how difficult to process this would be, but fortunately we picked the right firm to represent us. We would certainly recommend McLeish Orlando to anyone that asks. I wish to express my sincere gratitude to you and the staff of your office for having handled my case very satisfactorily. I am very thankful. To Dale, Loretta, Kimberly and all the wonderful staff who worked on our file. Thank you all for your kindness and sensitivity in all your dealings of our file. We feel truly blessed to have been guided through such a difficult ordeal with the expertise and warmth of such an amazing team. Alison, I want to say thank you for everything you and your team did for me. When you go through trauma and major surgery you are very emotional. Your team listened to me with so much respect that when I meet them I felt like we were friends. For me, that was so important and if you ever need me to testify how wonderful you are please don’t hesitate to call me. Thank you for giving me the most wonderful ladies in your office to help me. Their kindness, patience and knowledge is helping me so much though this difficult process. I do appreciate it more than words day. Thank you very much for all your help and generosity during what was a very trying time for me. Your kindness is very much appreciated. My heart will never heal from the loss of Cole and I will spend the rest of my life with a missing part, a part of my soul, a part of my being. But there are a few people over the past six years that I truly owe my sanity to. Alison, I think of you as one of those people. Thank you for hearing me. Thank you for your compassion. Thank you for understanding. A long overdue, but very hearty, thank you to you and Dale for taking such good care of Mary regarding her claim. The accident was a very challenging time for our family (particularly my Dad) and I was so relieved that there was a good outcome for Mary, despite the then-and-ongoing challenges. Please keep in touch. Words cannot sufficiently express our gratitude for your guidance, support, caring, and hard work….we could go on and on……! You put together an amazing team, and met all of M’s challenges with such dedication that we always felt secure in knowing that, no matter what, you and your team would find the best possible solutions. You are amazing individuals. Apart from the obvious professionalism of your respective companies, your genuine caring, and openness to listening to clients, sets you apart. We would like you to know that you all gave M all the tools he needed to maximize his recovery. He is sure to spend his lifetime…giving back..equally! Please forward this email to all support staff that worked with M as we truly appreciate the utmost attention, kindness, knowledge, and support he received at every stage of his recovery. We honestly could not imagine having gone through the process without you! You all have our family’s deepest gratitude for life! Best wishes to all for continued success in your respective careers…you are all truly exceptional, as professionals and as human beings! Having an incurable chronic illness, it was understandably surprising to receive a notice from my ”Insurer” suddenly terminating my long-term disability benefits. In reviewing the notice with my longtime family friend and lawyer, he advised me to seek legal council. He suggested Alison Burrison and McLeish Orlando who were highly recommended within in his circle of lawyer friends. Alison was committed to understanding my situation and my illness. Her professional demeanor is complemented by her assertive negotiation skills. Through investigation of my situation she was able to understand the nature of my illness and present the facts in a manner that resulted in reversal of the Insurer’s decision. I just wanted to thank you very much for your help and patience. You made a difficult time for me much easier and I appreciate it tremendously. Thank you for all your hard work over the years and in particular your representation yesterday. It was a tough day and please know A., M. and I truly appreciate your strategic insight that resulted in a great outcome for M. It was a lot for him to take in at the time but I noticed last night he really started to turn his mind to the future and putting this behind him. Thank you for all of your guidance and sound advice. Thank you for helping me through this case; this has all meant so much to my family and I and we are all very happy the case is finally closing. I won’t hesitate to contact you or reference you for legal referrals. Thank you so much again for all you and McLeish Orlando has done for us! We wish to give you a very heartfelt thank you! I honestly don’t know how we would have managed everything since Justin’s accident without all of your help. From all the legal stuff to dealing with the insurance company to the brilliant decision to hire Nicole G. as his case manager, it all eased our burden greatly and is deeply appreciated. Every last person we have dealt with at your firm has just been wonderful to us and so again, and for always, thank you! “I think what sets the student experience at McLeish Orlando apart from that at other firms is the hands on experience. The tasks we’re challenged with so early in our career and the support we get from the lawyers and staff really make working at MO a unique learning experience. I’ve been very fortunate to be on my feet in court, attend pre-trial conferences, mediations, and examinations for discovery, all of which was made possible by the guidance and mentorship we get from some of the country’s best lawyers. There are a number of factors that affect the length of time that it takes to litigate a case. The most significant factor is the rate of recovery from the initial injury. Typically, people recover for 18 months to 2 years from the date of original injury. In order to properly evaluate the quantum of damages in a case, we require the expert medical practioners that we retain to provide us with a prognosis for. We cannot obtain a prognosis for the future until approximately 2 years after the original injury. Once we have obtained a prognosis for the future, it typically takes approximately one year to move a case to trial or settlement. Our fees are based on a percentage of your recovery in the lawsuit. The percentage that we charge does not change with the size of the settlement. In the event that we are unsuccessful in a lawsuit, we will not charge you fees or disbursements. What happen when I am discharged from the hospital? If properly utilized, accident benefits can pay for a wide variety of items and services that an injured person requires. It is important that your lawyer provides you with the right occupational therapist or case manager. No. All discussions with any insurance company should take place after you have consulted with a lawyer and been advised of your rights. Insurance company representatives fully understand if you provide your lawyer’s name and telephone number and request that all initial discussions be with your lawyer who can make sure you receive the help you will require. How do I complete all the forms? You shouldn’t. Completion of the forms the correct way requires skill and experience. The omission or incorrect usage of a phrase or a sentence can have long term detrimental consequences. The forms should be completed by an accident benefits coordinator. You can receive income replacement benefits through your accident benefit insurance company. An income replacement benefit will pay 80% of your net loss of income up to a maximum of $400.00 per week. You may also be entitled to receive short term disability benefits and/or long term disability benefits through either a privately held insurance policy or a group policy of insurance purchased by your employer. Lastly, you may apply to Canada Pension Plan for a disability pension in certain circumstances. In addition to these benefits, you are entitled to claim for remaining loss of income in your lawsuit. What benefits am I entitled to if I was not working? If you were the primary caregiver for someone in your home before the accident and you are not able to continue providing care after the accident, you may be entitled to caregiver benefits of $250.00 per week. You may be entitled to an additional $50.00 per week for every other person you were taking care of before the accident. Even if you were not the primary caregiver for someone in your home, you may be entitled to non-earner benefits of $185.00 per week beginning six months after the accident, if you are completely unable to carry on a normal life. You must be at least 16 years old to receive non-earner benefits. If you cannot return to school, you are eligible for a lost educational expense not to exceed $15,000.00 for expenses incurred before the accident for tuition, books, equipment or room and board. What If I am a pedestrian or cyclist and don’t have insurance? You are still entitled to receive benefits from the accident benefit insurance company or the Motor Vehicle Accident Claims Fund. In addition, you can start a lawsuit against the at fault driver. You are still able to receive full accident benefits. If your injuries are serious, these benefits may be substantial. Do I have the right to choose my own case manager and treatment providers? You have the right to choose the person who will manage your care, treat your injuries and direct your rehabilitation. The right lawyer can help you make an informed choice. If you have a question that isn’t answered above please call us toll-free at 1-866-685-3311. Our knowledgeable team would be happy to answer it for you.